The introduction of the Millinery Award was part of the VRC’s commitment to addressing the instances of designers and milliners entering models into the Women’s Racewear competitions. 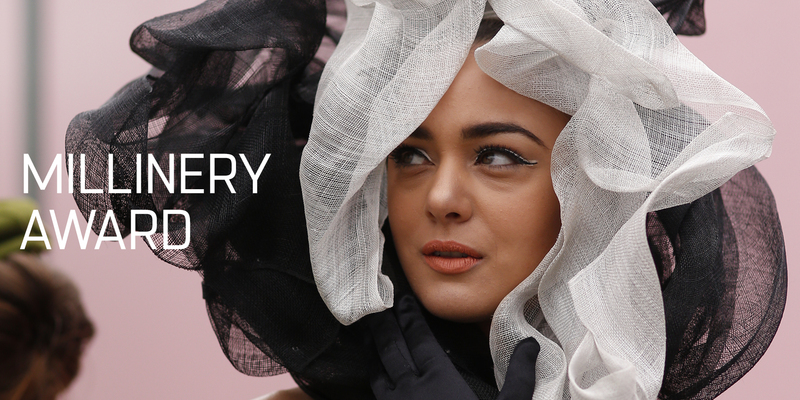 Milliners were offered a prestigious platform to showcase their exclusive designs among their peers while also ensuring the traditional women’s racewear event remained a competition for everyone. Introduced in 2006 and traditionally held on Kennedy Oaks Day, the Millinery Award is a prestigious and highly coveted award helping to shape the future of millinery fashion, showcasing top talent on a national stage. Contestants must be 18 years of age or more. All models must have appropriate racewear to complement their millinery. Contestants are not permitted to alter or add to their millinery or outfit in any way from the beginning until the end of the competition. For more information on the eligibility view the 2018 Myer Fashions on the Field Millinery Award Terms and Conditions. To register for the 2019 Myer Fashions on the Field Millinery Award applicants are required to submit a portfolio. Portfolio submission date TBC. Representatives from the Victoria Racing Club and Myer will review all entries and select the top candidates (approximately 60) who will be invited to compete at the 2019 Myer Fashions on the Field Millinery Award on Lexus Melbourne Cup Day, Tuesday 5 November 2019. All applicants will be contacted by a VRC representative to notify them of the outcome of their portfolio. The top candidates (approximately 60) will receive an email of congratulations from the Victoria Racing Club with an invitation to compete in the 2019 Myer Fashions on the Field Millinery Award on Kennedy Oaks Day, Thursday 7 November 2019. Contestant who have received an invitation for the Millinery Award are required to register on the day at the Myer Fashions on the Field competition Enclosure located in the Park during the registration times below.